Get a Nixeus EDG for $350 at Newegg or a Samsung 4K monitor for $250 at Amazon, plus two other great online deals right now. Today’s a great day to make life easier for your eyes. You spend all day staring at a monitor, so it’s worthwhile to invest in a high-quality display, and several retailers are offering great deals on luxurious monitors today. Bonus if you own a Radeon graphics card: All of these monitors support AMD's stuttering-killing FreeSync gaming technology. 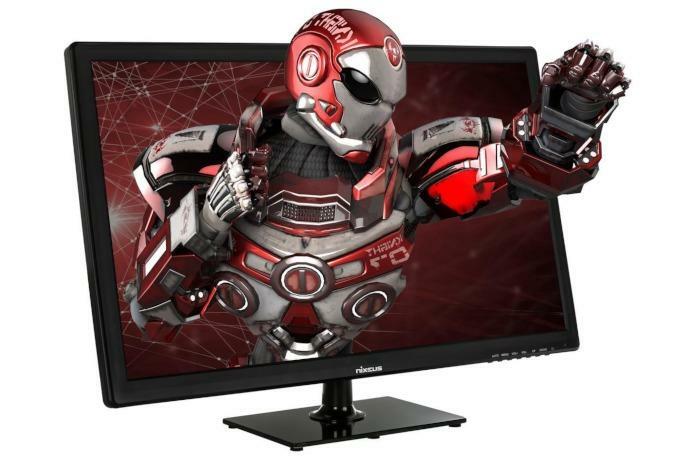 At the top of our list is the Nixeus EDG 27, a 1440p monitor on sale for $350Remove non-product link at Newegg. That's far below the current $430 Amazon price. This bright, responsive panel is a fantastic choice for gamers who also need to type out text documents or spreadsheets during the day. The 2560-by-1440 monitor refreshes at an ultra-fast 144Hz, and the Nixeus EDG 27 supports FreeSync from 30Hz all the way up to 144Hz if you have a compatible Radeon graphics card. That’s a huge range, and just one of the reasons we like this IPS panel. The Nixeus EDG 27's 1440p resolution is the current sweet spot for gamers, but if you want even more pixels (for even less money), the Samsung U28E590D is selling for $250 at Amazon after hovering around $280 to $300. This 28-inch 4K display features a 1ms response time, picture-in-picture support, and an “Eye Save Mode” that reduces blue light emissions. This is a TN panel, which is why it has such a fast response time, but some users report it suffering from poor viewing angles. That's common for TN panels but something to be aware of. If the Amazon monitor sells out, or if you prefer the wider viewing angles of an IPS panel, you can also get an LG 24UD58-B 4K monitor for $230Remove non-product link with the checkout code EMCPXPX22 at Newegg. That’s about $14 cheaper than the Amazon price. At 24-inches, it's much smaller than the 4K Samsung display, but it has a screen split feature, gaming mode presets, and a black stabilizer for better detail during dark scenes. Rounding out this collection of luxurious monitor upgrades is the 29-inch, ultrawide LG 29WK500-P for $180 at Office DepotRemove non-product link–it’s around $250 elsewhere. This monitor offers 2560-by-1080 resolution, a 5ms response time, and a 75Hz standard refresh rate.